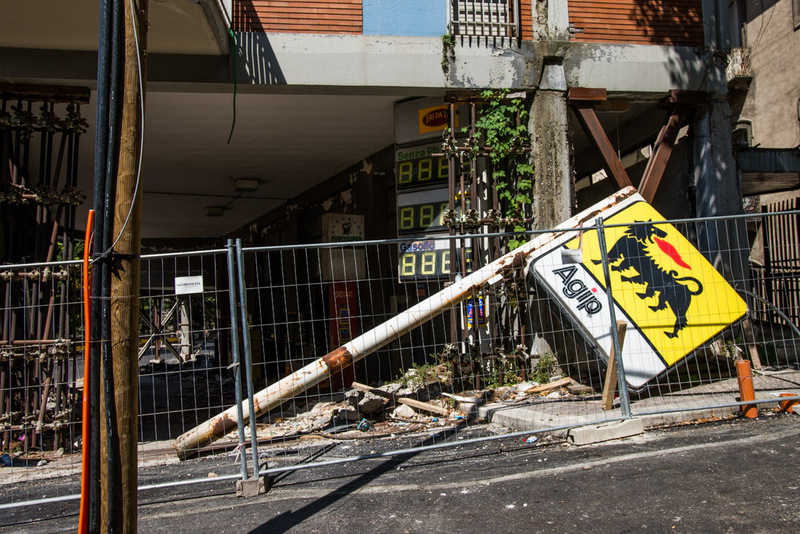 L’Aquila, Italy -- A brutal earthquake strikes a remote mountain city in the dead of night. By the time the dust settles, hundreds have died. But this isn’t the earthquake from seven days ago, it happened seven years previously. And the city is still in recovery. L'Aquila lies about 50 km (31 miles) from Amatrice, the town at the center of last week’s earthquake in central Italy. 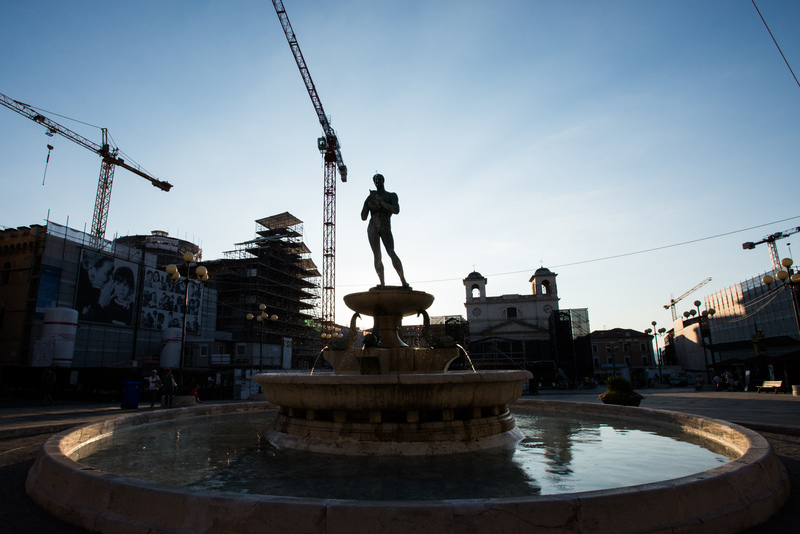 In the early hours of April 6, 2009, L’Aquila’s heart was ripped out in an earthquake that killed 309 people. 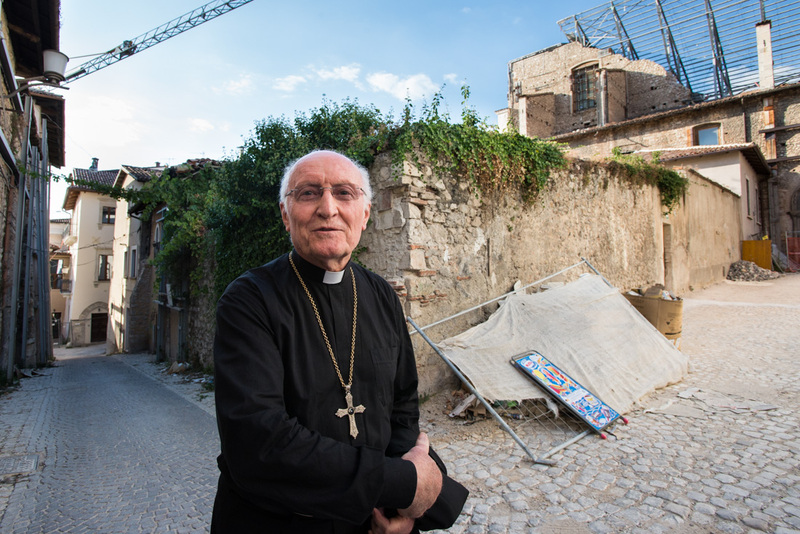 The L’Aquila earthquake devastated the historic hilltop city, leveling homes and destroying the medieval, baroque and renaissance gems within; its abandoned center offers a grim prediction for the future of Amatrice and other quake-stricken towns. A view of L’Aquila from the southeast. 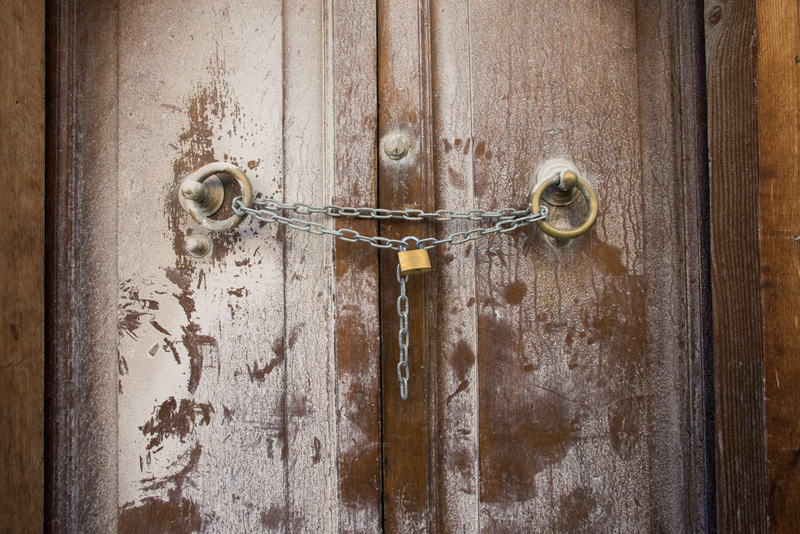 A chained door in the “zona rossa,” or red zone. Both quakes were at a depth of about 10 km (6.2 miles) and both struck at about 3:30 a.m., as people slept in their beds. 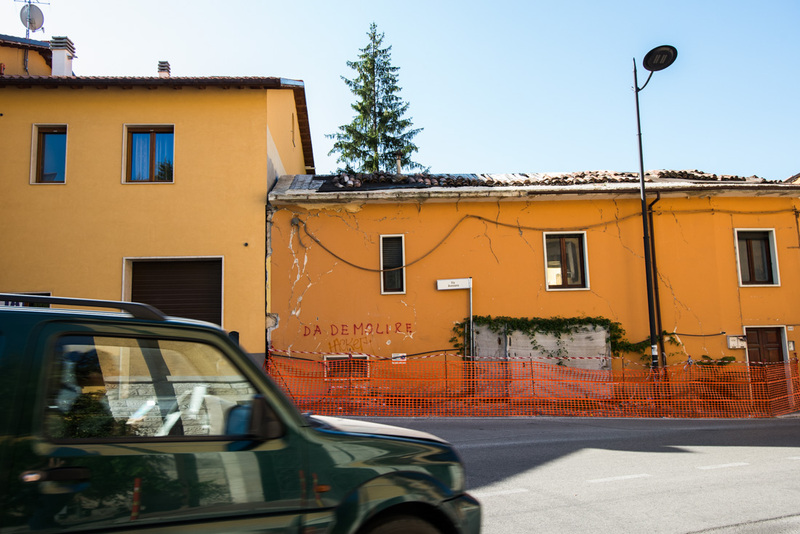 “There was a big bang, an explosion and the whole house was shaking left and right,” recalls Davide Tonati, a 36-year-old L’Aquila survivor, who lived in the city center. Tonati, then 29, and his parents were some of the lucky ones. They escaped unscathed, the family home their only casualty. Tonati is one of the tens of thousands of residents of L’Aquila and the communities around it who were displaced by the earthquake. Seven years on, their houses and businesses have not been declared safe by authorities. 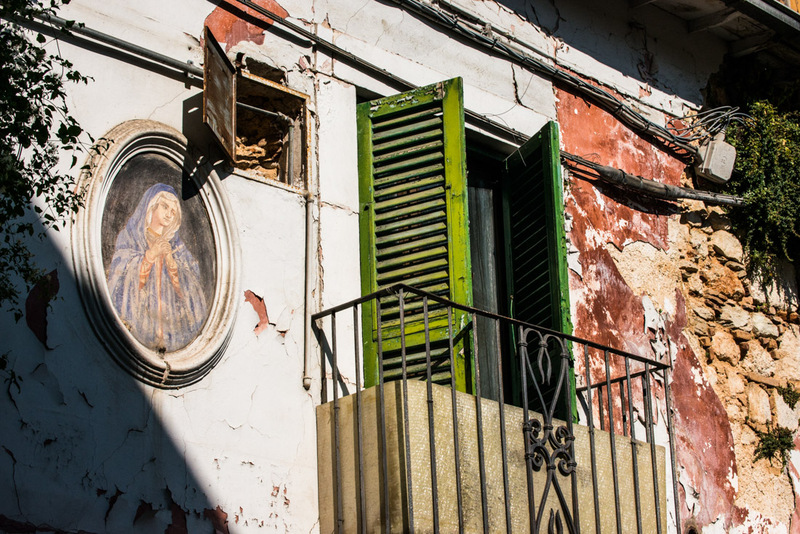 A religious fresco adorns a damaged house. A memorial book for the 309 victims of the 2009 earthquake. Today, the “zona rossa” -- or red zone -- remains in place, and the vast majority of structures within lie abandoned. 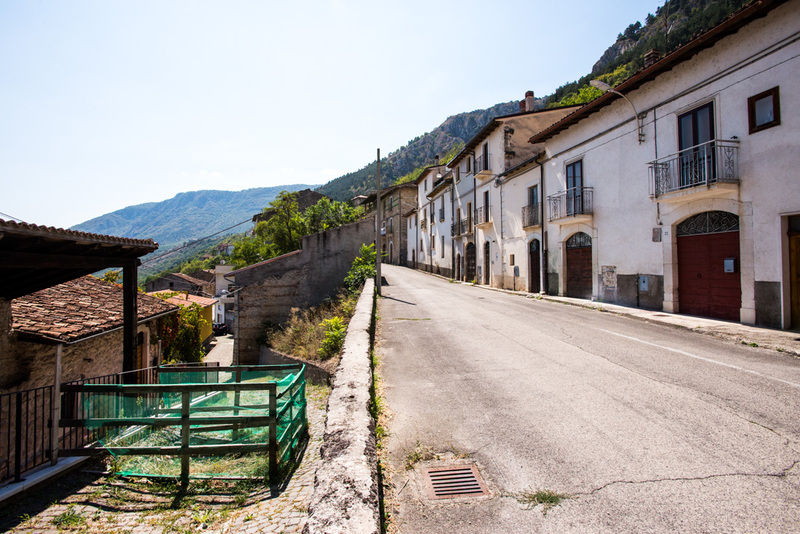 The parallels between the two places have not gone unnoticed and many see L’Aquila as an example of things to come for survivors in Amatrice and the villages around it. Monsignor Paolo De Nicolo tours the red zone. 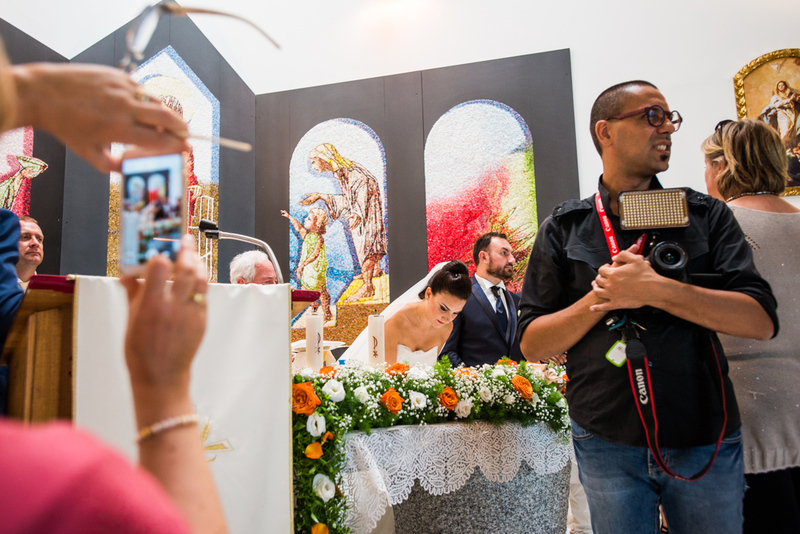 Visiting from Rome, he is set to perform Santa Messa, or 'Holy Mass,' at the Basilica Santa Maria di Collemaggio. Cranes tower over the historic city center where much of the reconstruction is still taking place. “This is very emotional for us. It’s the same time and the same place,” says Giovanni Comoglio, one of the volunteers who responded to the disaster in 2009, standing at a memorial at the city’s college dormitory where 11 students died. Giovanni Comoligio views a memorial for the 11 students who died in a university dormitory that collapsed during the earthquake. It’s a gloriously bright and sunny summer’s day when we visit L’Aquila, but only a handful of people wander along the cobbled avenues in the mid-afternoon. A skyline of cranes rises high above the city, while countless angry fractures disfigure its once-beautiful buildings, now supported by a maze of scaffolding. A significant section of the red zone is cordoned off from pedestrians. 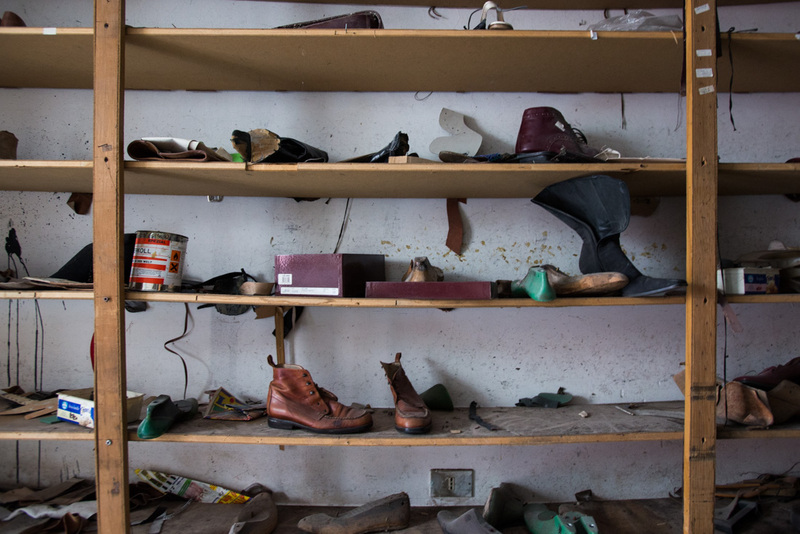 Shoes lie scattered across shelving in a former shop. Litter fills an empty store in the red zone. 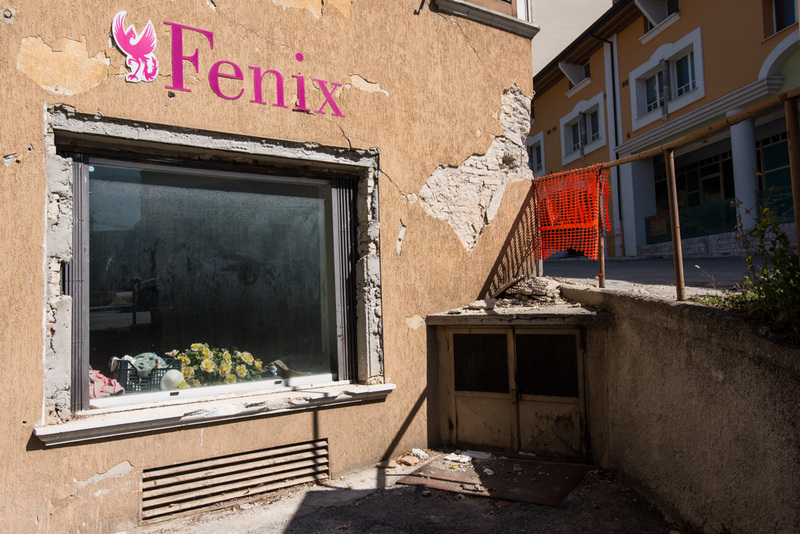 An abandoned shopfront on the south end of L’Aquila, where damage was concentrated in student housing. Doors hang off their hinges to reveal abandoned shops in the red zone, still filled with detritus and debris. Windows and rotting balconies have been stabilized with wooden frames and heavy-duty cables. The sound of birds and the inconsistent spurt of a nearby fountain pierce the quiet. “The city is definitely coming back,” Comoglio says positively. “It’s very, very hard work (to rebuild). You must reconstruct with anti-seismic technology. A man and woman take an evening stroll through the red zone. 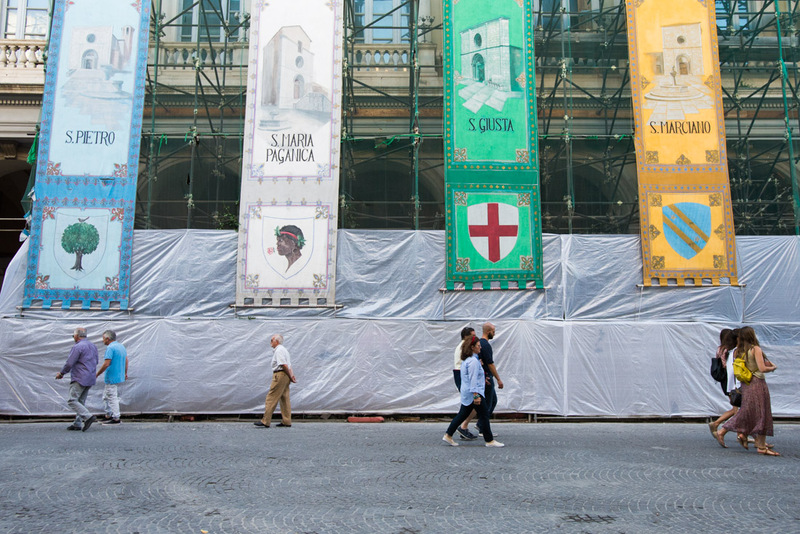 After ambling through row upon row of disheveled, forsaken side streets, we stumble out onto Corso Vittorio Emanuele, the busiest thoroughfare in town. The long pedestrian road flanked on both sides by tall, largely empty buildings, leads to the Piazza Duomo, the city’s main square. Here, parents walk, talking animatedly as their children run around. A sprinkling of bars, restaurants and a single gelato shop have moved back. 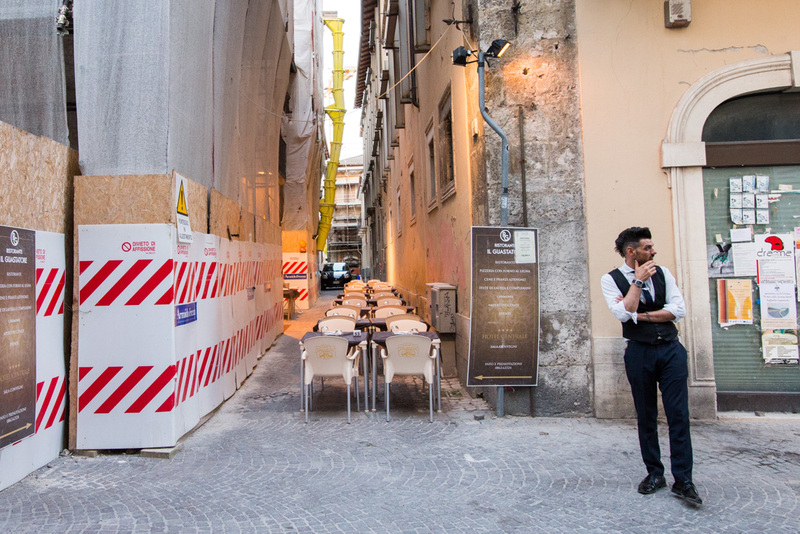 A server waits outside a restaurant before the Saturday dinner rush, on the main drag in the city center. “The city is much better now,” says Nikos Katharosporis, a 35-year-old who splits his time between working as a mechanical engineer specializing in damage assessment and working part-time in a local restaurant. 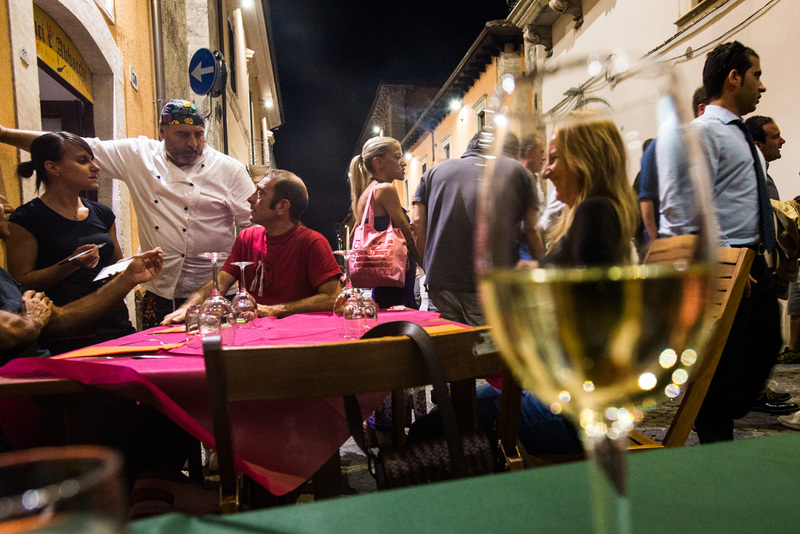 People dine al fresco on a Saturday night in L’Aquila. The sun sets. Larger crowds gather as the few bars and cafes open. Locals enjoy a “passeggiata” – an evening stroll. Friends stand laughing in the streets with drinks in hand. Teenagers congregate smoking and gossiping opposite the disused chamber of commerce. 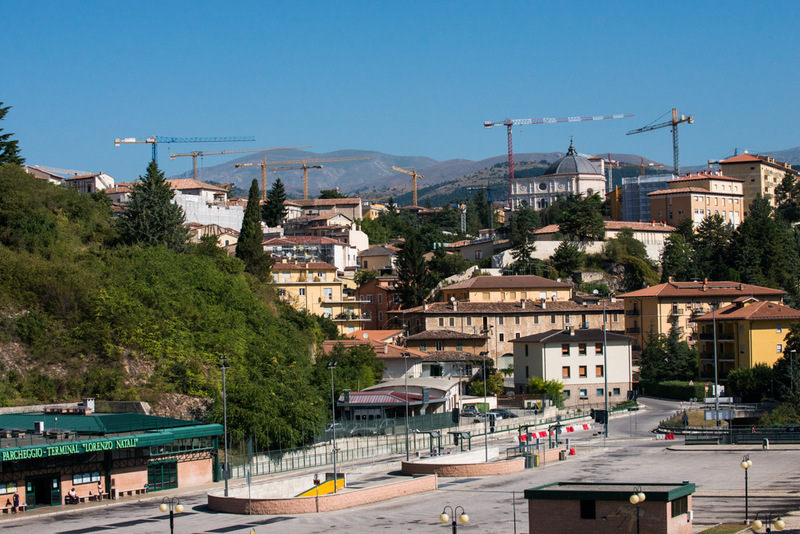 The residents of L’Aquila are determined to revive the atmosphere of their pre-quake city. But it’s a work-in-progress -- one that has been hit by allegations of corruption. 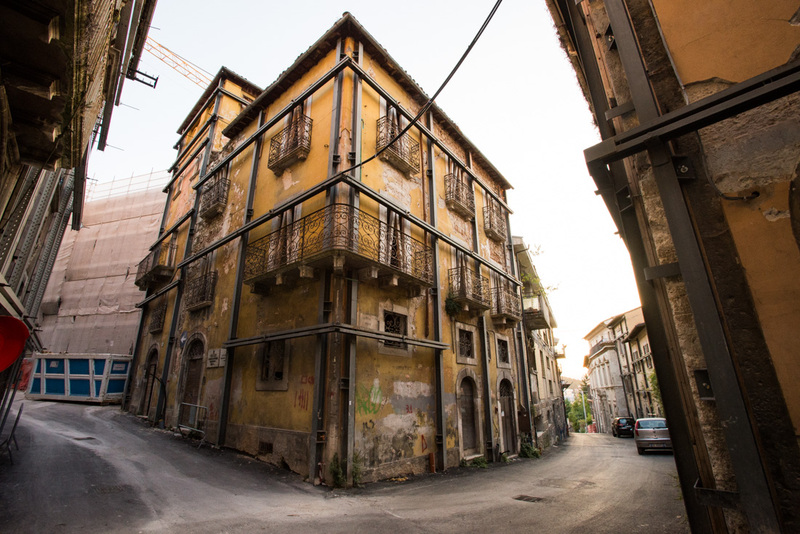 Billions were earmarked by the Italian government in the aftermath of 2009 and much has been spent rehousing displaced people and restoring the city’s historical properties. A building marked for demolition. Meanwhile some residents are dissatisfied by the town’s revival, criticizing the allocation of funds spent on historical damage rather than their own neighborhoods. 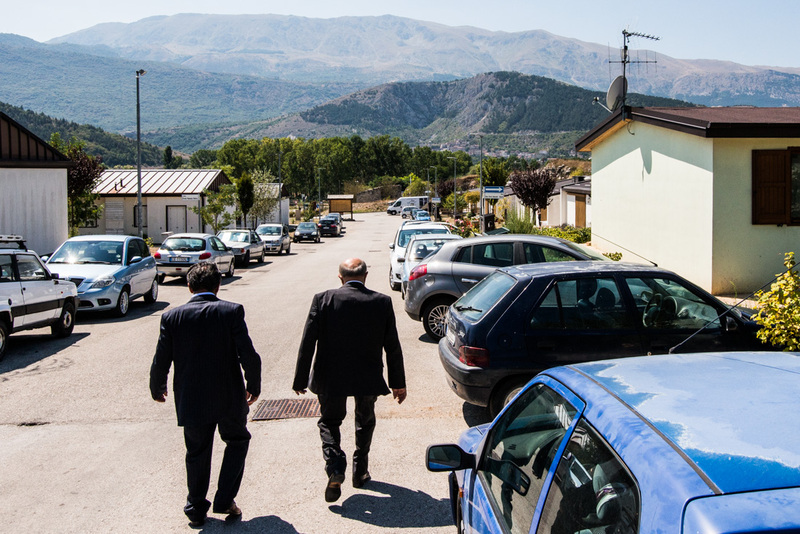 "In the beginning, the response was good," says Tonati, a former L’Aquila resident. "But as time goes on, it is not as good. It’s too slow -- people think ‘How are you helping me?’"
“In Italy, corruption is the big problem. There are many politicians and bribes. It is the cancer in Italy." He now lives in one of the temporary “new towns” swiftly constructed on the outskirts of L’Aquila with his wife and three-year-old daughter. CNN contacted the city’s mayor for this story, but have not yet received a response. 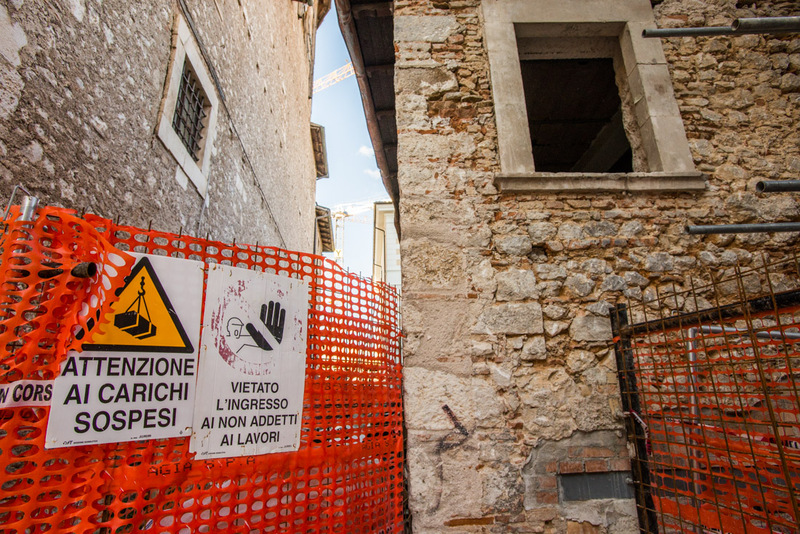 After the quake, around 70,000 people from L’Aquila and the neighboring villages were left homeless. Towns ravaged by last week’s quake have seen around 2,500 people displaced. 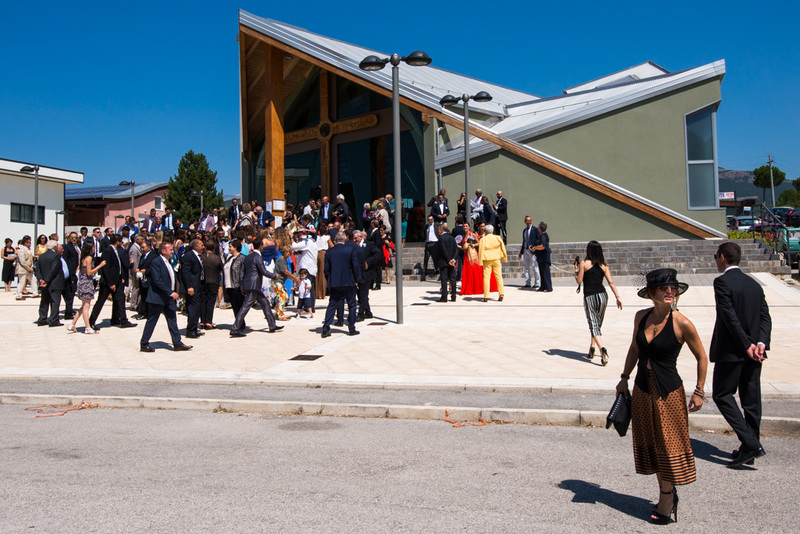 Italy’s Prime Minister Matteo Renzi has vowed to rebuild Amatrice and its surrounding communes -- but to some this sounds eerily like the pledges made by former Prime Minister Silvio Berlusconi back in 2009. 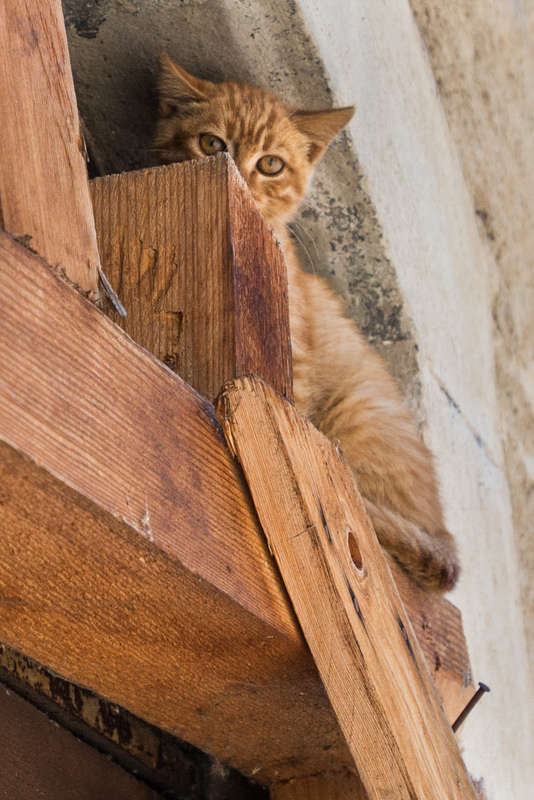 A kitten represents the only inhabitants left in Fossa, a small hamlet about 12 kilometers (7.5 miles) from L’Aquila. A view of Fossa’s main street, where buildings are shuttered and abandoned. 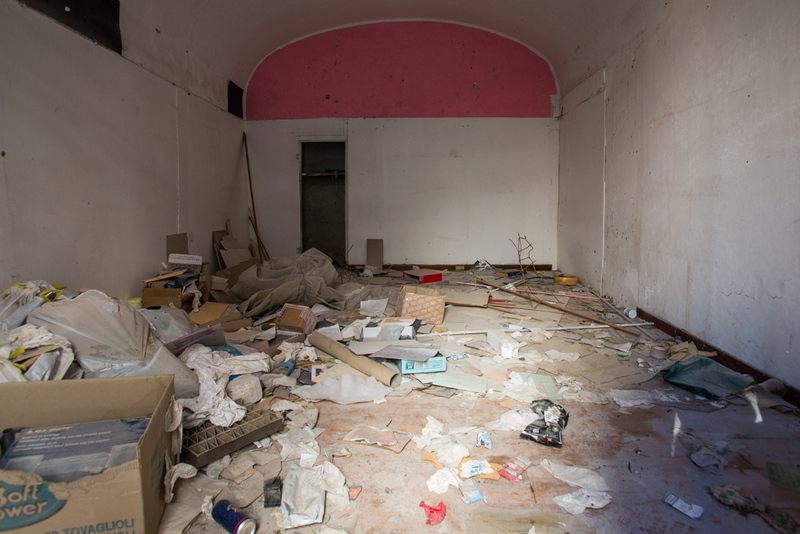 For the people of L’Aquila, many had to relocate to new satellite towns after their homes were destroyed. Tonati says these housing projects will do for now but he yearns to return to his childhood home, missing the sense of community felt in the city center. 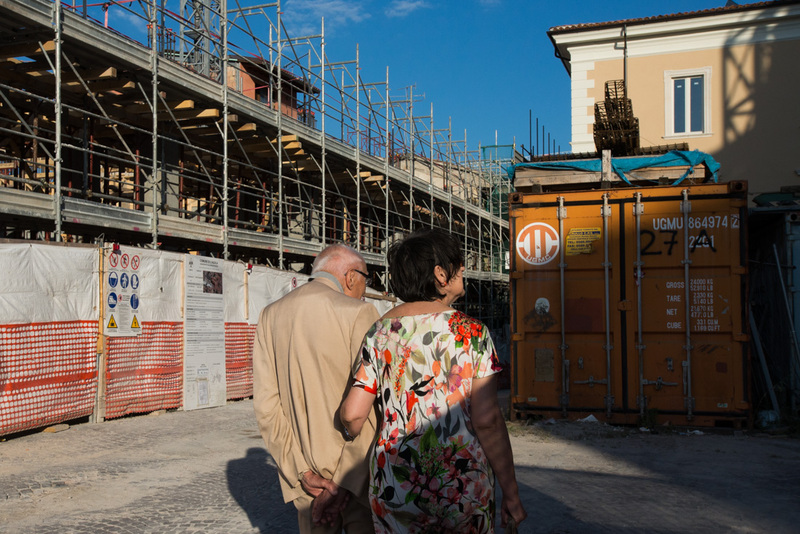 One of the post-quake towns is the village of Friuli Venezia Giulia, which replaced the destroyed -- and now unoccupied -- hamlet of Fossa, where 700 people once lived. Two men stroll down the thoroughfare of Friuli Venezia Giulia, where the community of Fossa has relocated. The now 360-strong population live in a cluster of short wooden single-storey earthquake-resistant temporary houses, built neatly together on a small incline. As we drive through the rows of small houses, women glance up as they hang their laundry on wire racks, noting our presence. We approached many houses to try talk to residents, but were turned away. A congregation celebrates the union of a young couple at the new settlement. On this August afternoon, it feels like the whole community is standing on the church steps in the center of the village, as a local couple's wedding gets underway inside. Guests laugh and smile, but there is an undercurrent of anger in the village. A young woman in the congregation agreed to talk to us but declined to give her name. Wedding guests take cover in the shade outside the church. The newlyweds sign their marriage license. She says the village was supposed to be a temporary settlement but seven years on, there is still no word on when Fossa will be rebuilt. 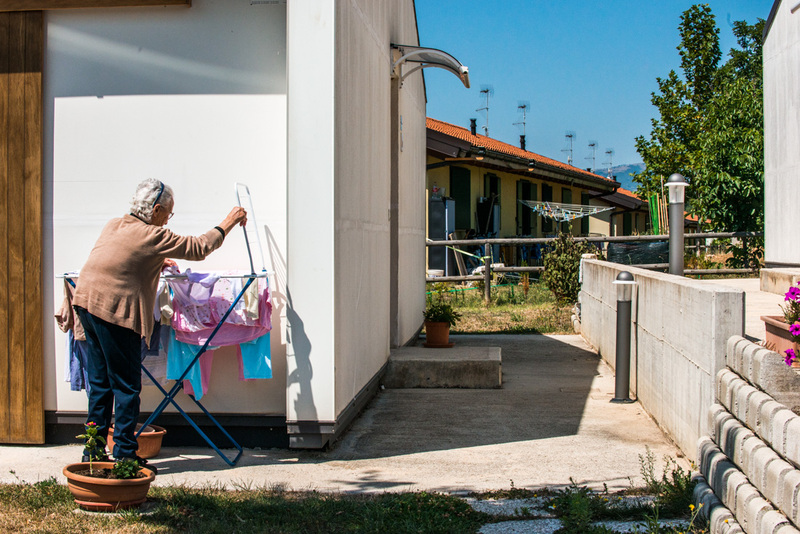 An elderly woman hangs laundry to dry outside the pre-fabricated houses built by volunteers in the months following the earthquake. As the wedding crowd mingles, one of the guests, a bubbly, middle-aged man wanders over to greet people, appearing to know many of the congregation. 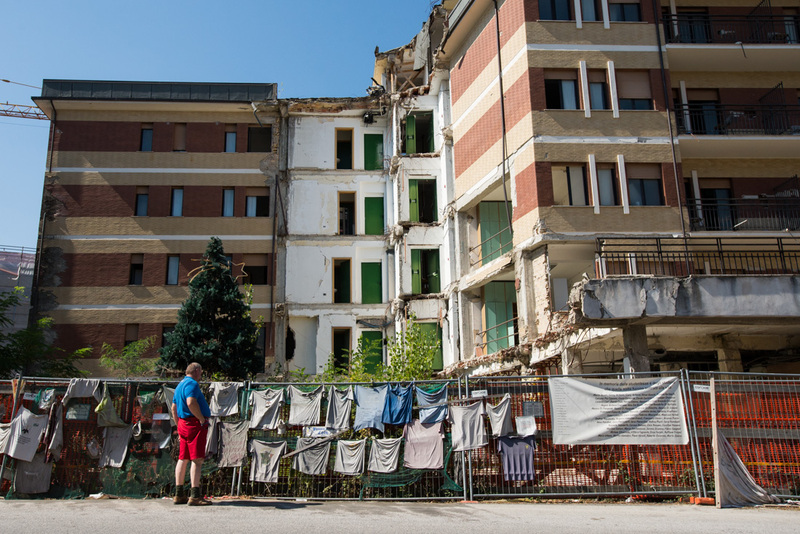 He introduces himself as Luigi Calvisi, the village’s former mayor, and says Friuli Venezia Giulia was constructed with both disaster relief funds and donations. He recalls going door-to-door for donations to build the cornerstones of the new community, like the church. “We wanted to give the people of the town a place where they can come together,” he says. 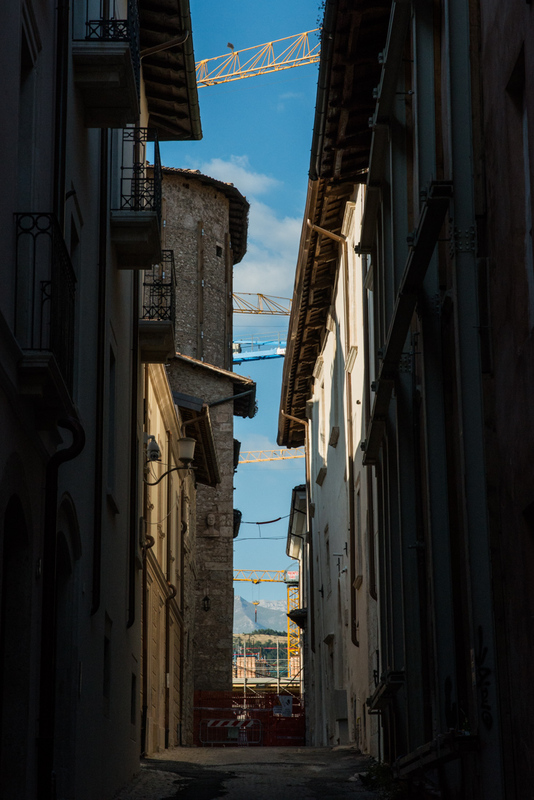 Life here has been hard, according to Calvisi, but the community stands united to face their future head on, something he thinks the people of Amatrice must do. “It’s two very different types of earthquake," he says. "That can be difficult to understand but the numbers are exponentially different. 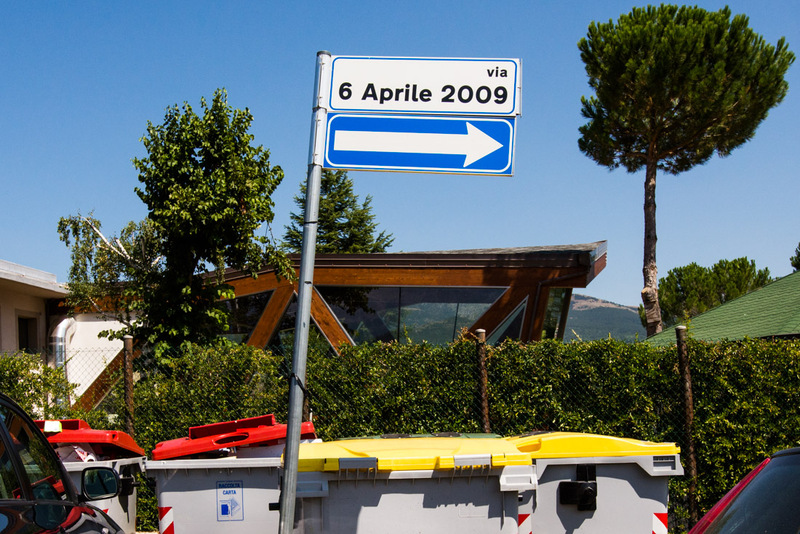 A back street in Friuli Venezia Giulia is named for the date of the L’Aquila earthquake. CNN’s Blathnaid Healy and Bryony Jones contributed to this piece from London.